Are you looking for a innovative way to market your business while bringing added value to every business client, prospect and/or referral partner. The “Large Format” 5/30 Grid may be just what you’re looking for. 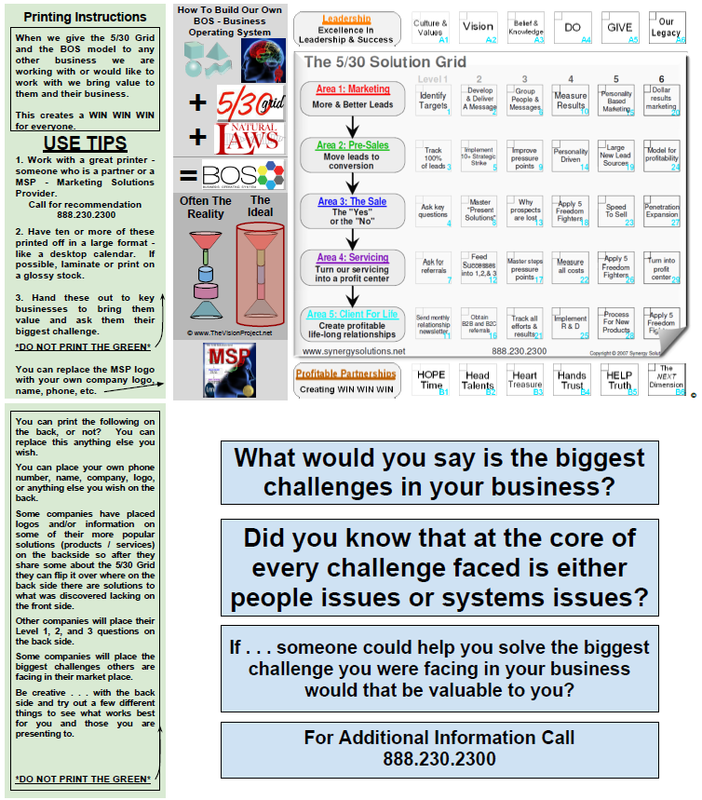 When we print something in a large format people will tend to post it on their wall or put it on their desk. 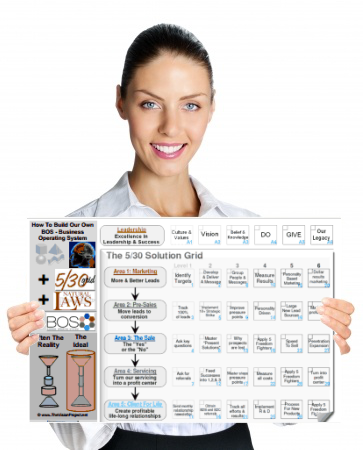 The 5/30 Grid is the DNA for Understanding Business and can be the best “advertisement” your business could have.